The heritage of “mixed-terrain” rides has far-reaching roots in the greater San Francisco Bay Area. Logging roads, farm paths, ex-military routes all snake through the hills of this region in various stages of disrepair and recollection. Many of these have been turned into the ubiquitous “Fire Roads” which make up many of the favored routes away from traffic. May 23rd, 2008 at 7:21 pm Oops. Pardon my space! Fixed now, so it should work mo’ bettah! May 24th, 2008 at 4:05 pm Great photos - thanks for posting. May 27th, 2008 at 12:40 pm To the south we must venture and investigate! May 29th, 2008 at 4:05 pm This brought tears to my eyes. With a bad leg for about 1-2 months I have been limited to very mellow rides with very little dirt. Can’t wait to get well and go on more epic adventures. 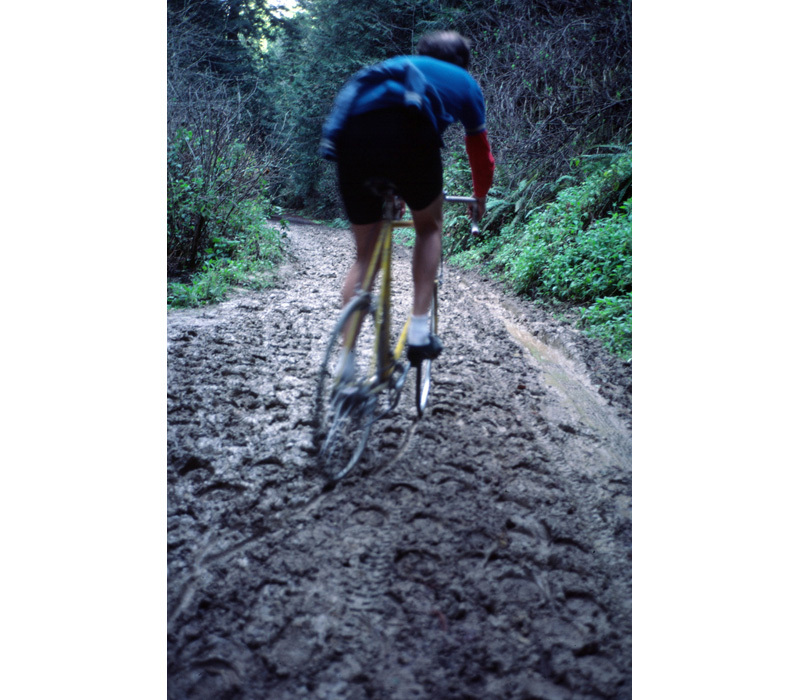 ABTD, any bike, any terrain, any day.